Historic rock-mounted lighthouses play a vital role in the safe navigation around perilous reefs. However, their longevity is threatened by the battering of waves which may be set to increase with climate change. Virtual navigational aids such as GPS are fallible, and reliance on them can be disastrous. Mariners will therefore continue to need the physical visual aids of these strategic structures. As an island trading nation experiencing some of the world's strongest storms, the UK is particularly vulnerable to maritime navigation failure, and loss of one strategic lighthouse will have incalculable effect on safety, trade and heritage. The overall aim of STORMLAMP is to use a combined program of field measurements, laboratory studies and analytical and numerical investigations to enable characterisation of environmental loading and performance to support management of lighthouse structural condition. Identify experimentally mode frequencies, shapes and dynamic response of six vulnerable rock lighthouses to find the structure with the most problematic behaviour. Monitor, and continuously process, structural response of one rock lighthouse over an extended period. Develop structural models, based on detailed construction information and calibrated through the dynamic field testing campaigns and hydrodynamic modelling. Extend physical and CFD modelling of wave interactions with cylinders to include optimised bathymetries, geometries and kinematics in order to investigate worst-case hydrodynamic loading. 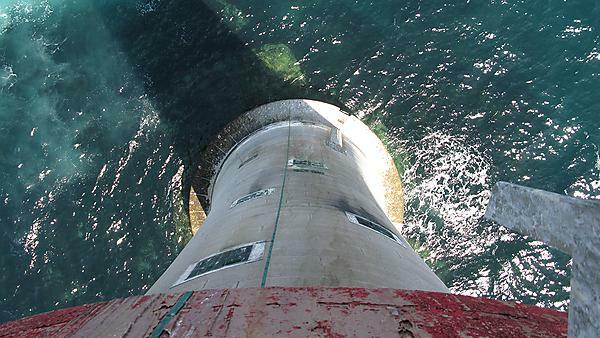 Formulate guidance on the technologies and procedures for structural condition assessment and management of rock lighthouses.